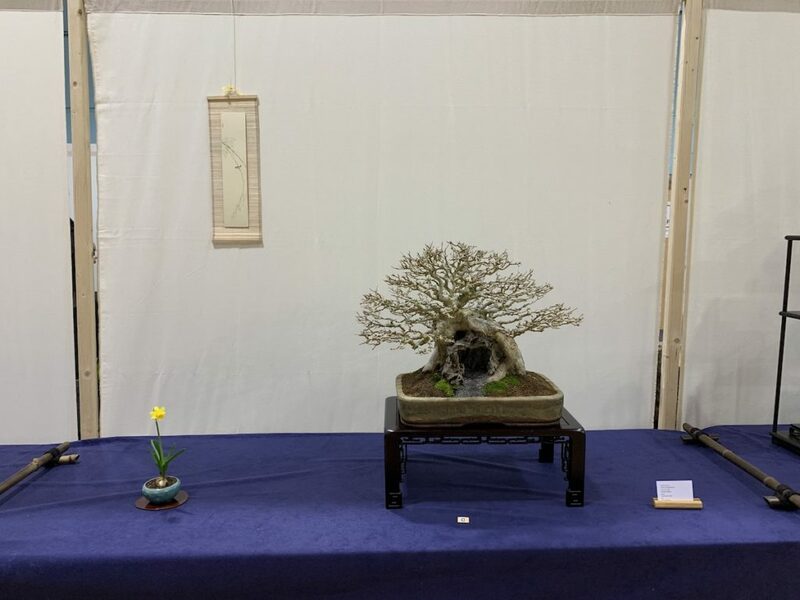 This year Reg had two trees on display; they were an English Elm (Ulmus procera) which he collected 21 years ago and in a Walsall ceramics pot. 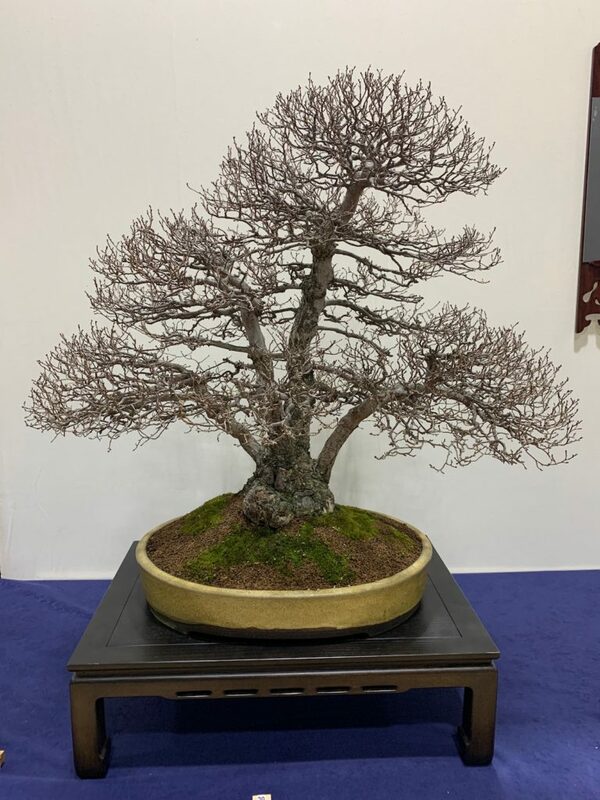 The density of the fine branches provides a very highly ramified crown which Reg has worked hard to develop through time and technique. 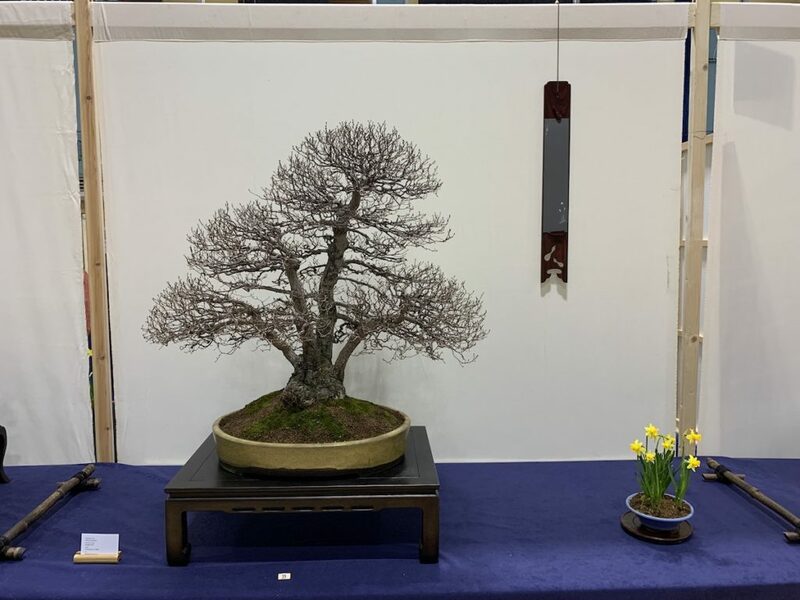 It is great to see an English Elm as a bonsai looking very natural in form. It originates in creation by Reg following from the time when Dutch Elm disease caused the loss of so many majestic Elm trees from our countryside. 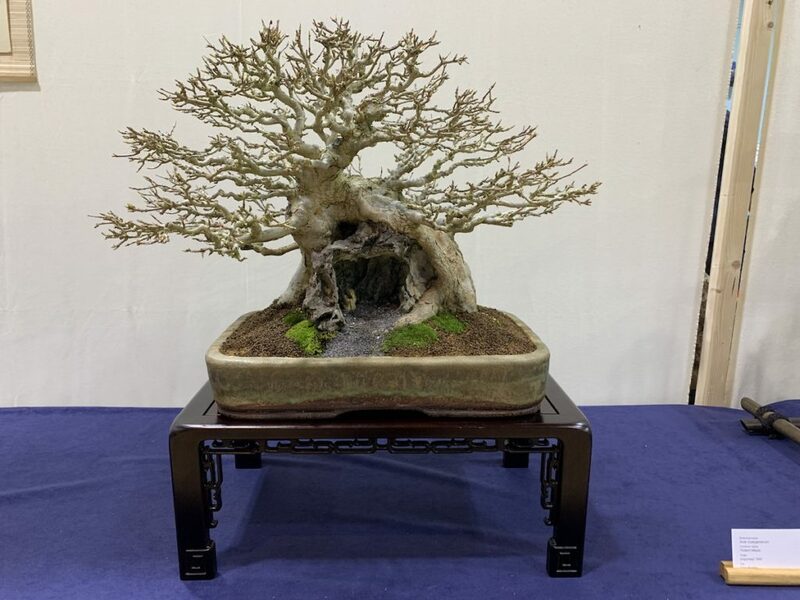 The second tree was a Trident maple (Acer buergerianum), which he has been developing for 22 years, which originates from Japan. 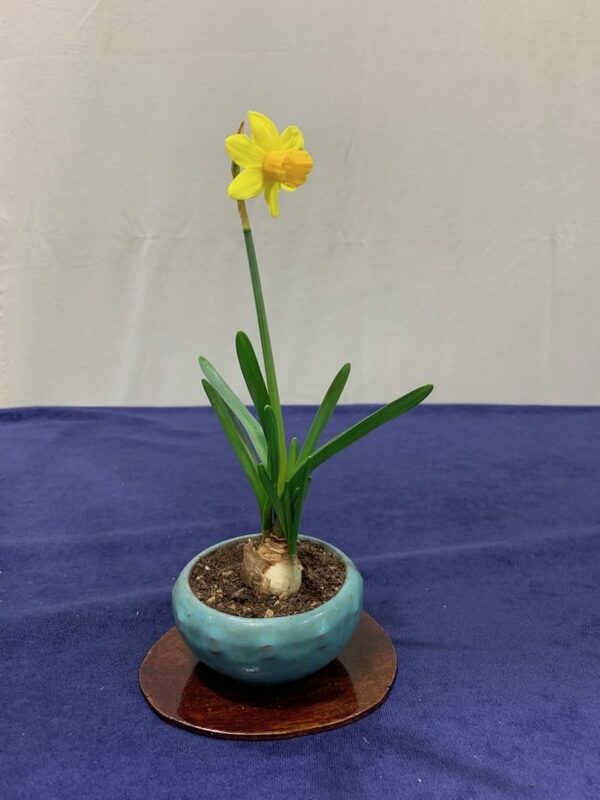 It is in a Dan Barton pot and is a root over rock. It has superb ramification and you have to look closely inside the cave to see whats hiding. 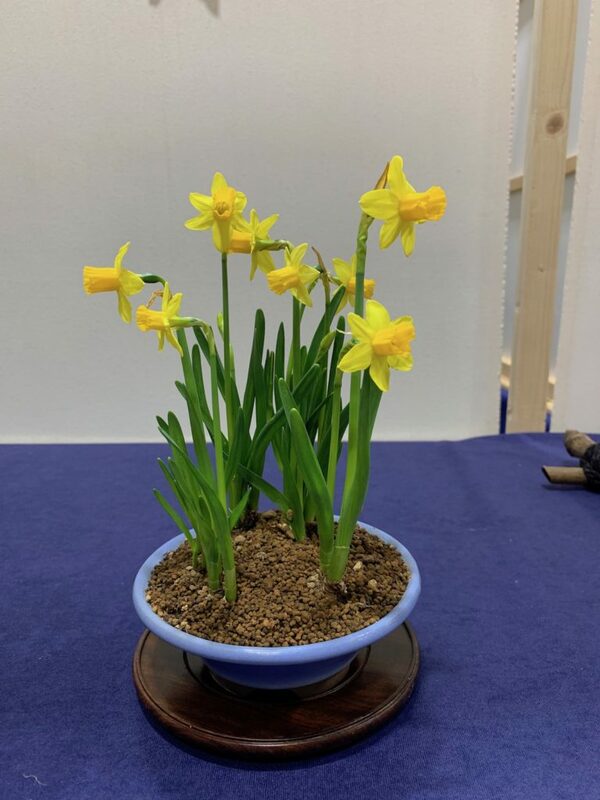 Posted April 14, 2019 by AW & filed under Members Trees, Show Reports, Winter Show.